At Peterborough last week, we’d taken a big step forward in our quest to avoid a relegation battle come the final few weeks of the season. Personally, I was very nervous going into the game. It was partly because the Posh had won their last two matches, the former of which a turnaround win against promotion chasers Leicester, the latter a very convincing 5-1 win at Millwall. Also, in Newell and Mendez-Laing, Peterborough have a couple of wingers who can cause problems. I wasn’t sure that, particularly the inexperienced Hancox on our left, would be able to cope with the pressure. In actual fact, Hancox was one of our best players, alongside the increasingly solid-looking Butland and the ever dazzling Burke. Whilst holding his own in position, he would also make attacking runs of real intent, so maybe after that performance from him, I now won’t be so concerned when Paul Robinson’s contract expires. It was a good win, and I really didn’t expect the final few minutes to feel as comfortable as it did. Normally when you win away from home, you’re feeling really nervous right up until the last whistle, as your team has to head out ball after ball into the box. It wasn’t like that at all, and we continued to create chances until the end, Wes Thomas could have easily grabbed himself his first goal for the club, and Chris Burke had his second goal of the afternoon ruled out. A satisfying win, quite remarkably, gave us a second successive clean sheet, after we had just been 20 matches without one. More importantly though, we’re up to 16th and 7pts above the feared drop zone. So how are you getting on down there eh Wolves, you okay? The only recent changes to a keeper and back four of Butland, Caddis, Caldwell, Davies and Robinson, has been the swap of Hancox for Robinson at left back. As above, Hancox had a very good game last week and would definitely be worth keeping in the side in my opinion. Caldwell and Davies restricted Posh to just one or two free headers and the occasional shot from outside the area during the game, so hopefully they can repeat their solid performances. The more debatable decisions lie in midfield. Given that surprisingly, he wasn’t in the match squad at all against Peterborough, you wonder if it’s a case of Keith Fahey getting back to full fitness, but Darren Ambrose did make the bench. It’ll be good to see Ambrose back in the team. I don’t think he was given the time early on in the season, before his injury, to impose himself on the squad and he was often played out of position. He could become a good box-to-box midfielder for us this season, I’d be inclined to keep him on the bench and probably give him a 10 minute run out at the end. Unfortunately, the effective set piece man, Rob Hall, has returned to West Ham to have his injury assessed. Because of the arrival of Ferguson though, whose best position is by all accounts a winger, Wade Elliott can remain in the centre of the park. He’s often used his experience to run the show, and has naturally become rather a leader on the field. I was standing close to the pitch at Peterborough and he was very vocal with his instructions to the younger players. So this is an away match in which a point would probably suffice, against one of the division’s better teams, and one that plays a 3-5-2 formation. That trail of logic, first of all, would make me want to try to match them up and play 5 in midfield. I would partner Elliott with Jonathan Spector and Callum Reilly. They both did well at Peterborough, ensuring with their firm challenges and dogged energy, that Posh got little joy when they tried to play through us down the middle. They succeeded in forcing the ball wide and I think them, plus the experience of Wade Elliott, would counteract Hull’s power in the centre, particularly with Olofinjana in their side. Given plenty of protection in the centre of the park with a trio of Elliott, Spector and Reilly, I would instruct the two wingers – Burke and new boy Ferguson – to play with a very attacking mentality, to be always looking to find space on the flanks. That means that when we’ve soaked up all of Hull’s pressure, we can hit them on the counterattack. The fact that their formation entails they play with 3 centre-backs and no fullbacks, I would expect there to be plenty of space for our two wide men to get in behind their defence and cause problems. Up front, the unfortunate news is that Marlon King is injured and will be unavailable to play against his old club, so I would field Nikola Zigic as the lone target man. However, the potential problem with this could be that he gets a little isolated playing up top on his own. Therefore, I would want every player in the team (apart from keeper and centre-backs) to be constantly thinking about making forward attacking runs into the box, when the opportunity arises. If Burke and Ferguson can direct the ball in the air towards Zigic’s head, at least two of the Hull centre-backs will be drawn towards the ball to challenge Zigic. Because of Zigic’s height though, they won’t be able to win the ball. This could open up some space in the box for onrunners, such as either winger coming inside, Elliott or maybe Reilly, who took his goal well at Huddersfield in a similar fashion, or even the fullbacks Caddis and Hancox. Caddis always makes positive forward runs, and that’s what will be needed to make sure Hull can’t mark Zigic out of the game, and he can win all of the flick-ons and knock-downs for players getting forward. But the key thing is that the system wouldn’t work, certainly not from an attacking point of view, if we don’t get people into the box. Hull are slap-bang in the middle of a four-way scrap for promotion between themselves, Watford, Leicester and Crystal Palace. Our old friend Steve Bruce took over last summer, and has taken them well into the frame for the Premiership since December time, when they picked up 16pts from 6 games. Having said that, we might just have picked a good time to play a team for once. Or not, as the case may be. Hull’s promotion ambitions took quite a big setback last week, when they lost 4-1 at Bolton, and they were 3-0 down after just 8 minutes. Steve won’t have been happy about that. But it will be interesting to see how they respond to that result, and this game will be a big test of Bruce’s motivation skills. Certainly in the Championship, maybe due to the competitive nature of this league, it happens frequently that one of the top teams gets thumped, completely out of the blue, by a team you wouldn’t necessarily expect them to lose to. It’s often an important test of their promotion credentials to see whether they react to the defeat and make sure they fight back with a win in the next match, or let it turn into capitulation. Just taking Cardiff as an example, I remember (plus I’ve done a bit of research on this) they had started the 06/07 season brilliantly and had won 9 of their first 12 games, they were top of the league by quite a way. Then they unexpectedly lost 1-0 at home to QPR, who weren’t doing well at the time, and they slipped away only winning 2 of their next 16 matches, including a 10 game winless streak. Compare it to this season, Cardiff broke away at the top again, before losing 2-1 at home to Peterborough who were bottom of the table. This time, they reacted perfectly and put the result to bed as a one-off by winning their following 4 matches. I’m convinced Cardiff will go up this season now. Having the mental strength to recover from slightly disgruntling setbacks is key to gaining promotion in this league, but I certainly hope Hull haven’t got that. We shall see. I’m going to go with an honest prediction, and I just think that we will see a reaction from Hull on Saturday. They will have had sufficient time to get over their 4-1 defeat at Bolton and will be very wary of the recent ascendency of Watford, which means they can’t afford any slip-ups at the moment. 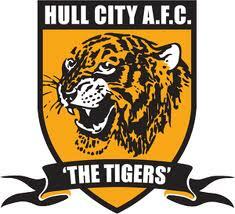 I’m sorry to say that my completely unbiased prediction is 3-0 to Hull. But enjoy the game, yeah? James Richmond- it will be a very tough game, but I’m going to be optimistic and say a backs to the wall 1-0 win, with Nicola Zigic getting the goal. Rob Wildey- A very difficult place to go, Hull are well drilled. With their 352 formation, Blues will have to be wary of the wide men. But with confidence high, Blues can nick a point and hopefully Wes Thomas can get off the mark. My prediction: Hull 1-1 Blues. Gregg Collett- Aluko missing for Hull so think we could realistically hope for a draw. Gonna say 1-1, Elliott to score for us. Ben Lowe- hope I’m wrong but I’m going for 2-1 to Hull, Burke for Blues. Good article, poorly written. Might need another performance from Butland. Burke didn’t have a second goal ruled out. Zigic did! Any reason why we can’t get a positive result?